When you attempt to access LinkToHealth using Duo you will need to authenticate. 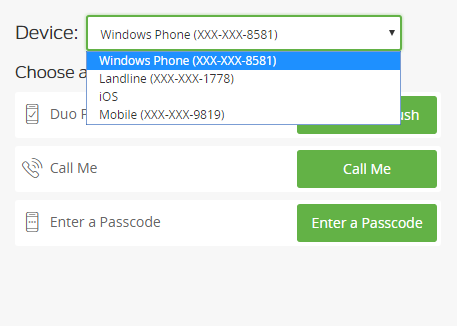 There are multiple ways to authenticate on Duo. This article will walk you through the most common ones. When you access LinkToHealth you will be presented with the Duo screen with multiple authentication options depending upon what devices you have registered on your account. The prompt you see will have a Device field that will allow you to choose which device you would like to use for authentication. If this is grayed out and you cannot make selections, you may have turned on an auto setting that is automatically attempting to authenticate you using your preferred default method. If you did not want this to happen, please see Duo - Manage Devices & Settings. Your default device will be listed first. You may choose any device that you have already registered. The authentication methods available will depend upon your device. There are multiple options available for authentication. Not all options will be available on all device types. Available on smart phones, tablets, mobile phones and landlines. With the successfully installed Duo Mobile application on your smart phone or tablet you can use the Duo Push option. This will send an alert to your phone allowing you to approve or deny the authentication request. Clicking the Approve button will approve the request and authenticate you to the Duo system. You will then be allowed into the system. The appearance of the Approve and Deny screen will vary depending upon your smart phone type and operating system. The Call Me option will initiate a phone call to your selected device. Your phone will ring and you will need to answer it. Listen to the operator and perform the appropriate tasks she asks you to. You will then be authenticated into the system. 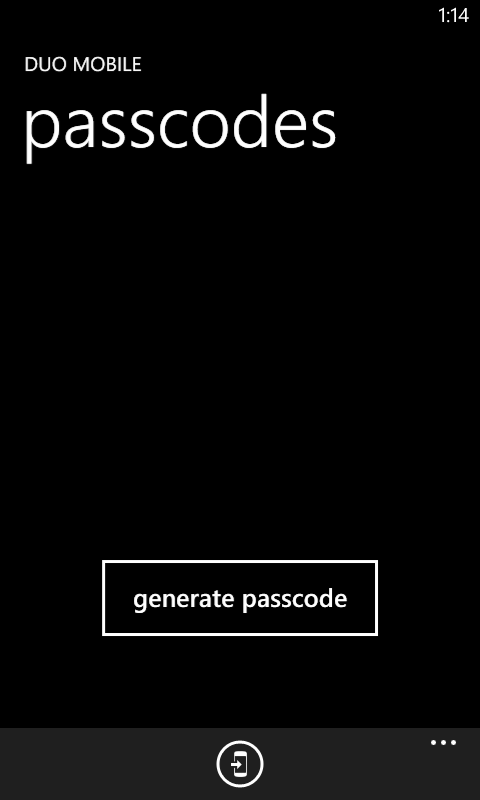 There are two ways to generate a passcode to be used in this option. First you can access the Duo Mobile application on your device. Once inside the application all you need to do is click the button to generate a password. The screen may look different depending upon your phone and operating system. This will only generate a single one time use password. Alternatively, you can click the Enter a Passcode button and then click the Send Codes button. This will send 10 single use passcodes to you in a text message to use. This is extremely helpful if you know you will be traveling to a remote location and you are uncertain if you will have cell service. 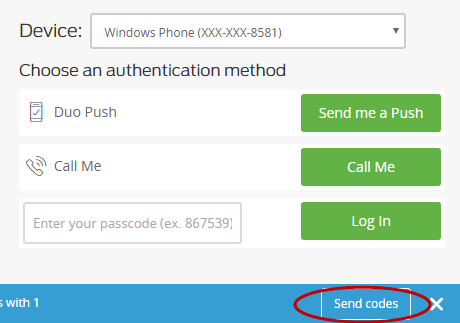 Enter the code into the Passcode field and click the Log In button to complete the process.